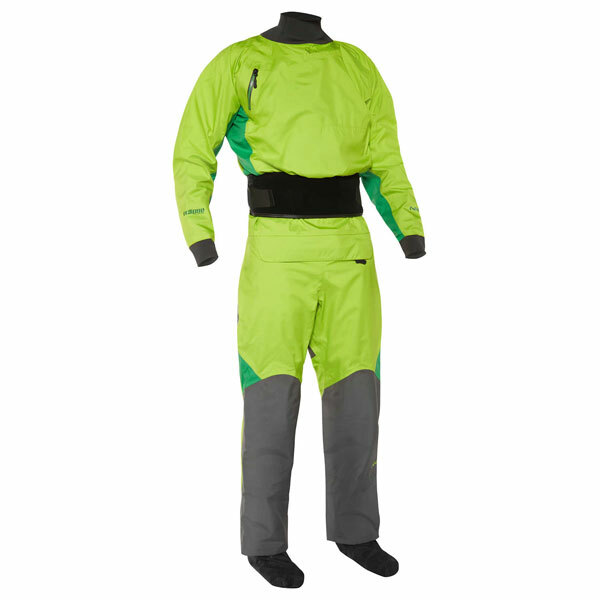 The NRS Pivot suit is a top of the range paddling suit for whitewater with a shoulder mounted Tizip. Super light whilst maintaining a ruggedness that means the Pivot will still stand the test of the toughest conditions. The NRS Pivot has been made entirely with Eclipse 4 layer fabric, even the socks and this gives an incredibly light suit that feels and breathes like a 2 layer cag yet has the strength and waterproofing of a heavy weight drysuit. Ergonomically designed with a paddler specific cut the Pivot is ideal for UK waters and can be used almost all year round due to its breathability and weight. 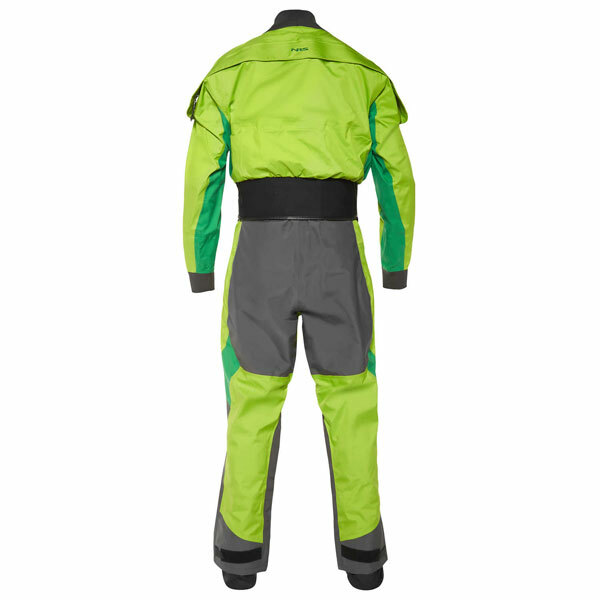 This is the advantage of a drysuit – the layering underneath can be tweaked to suit the temperature. 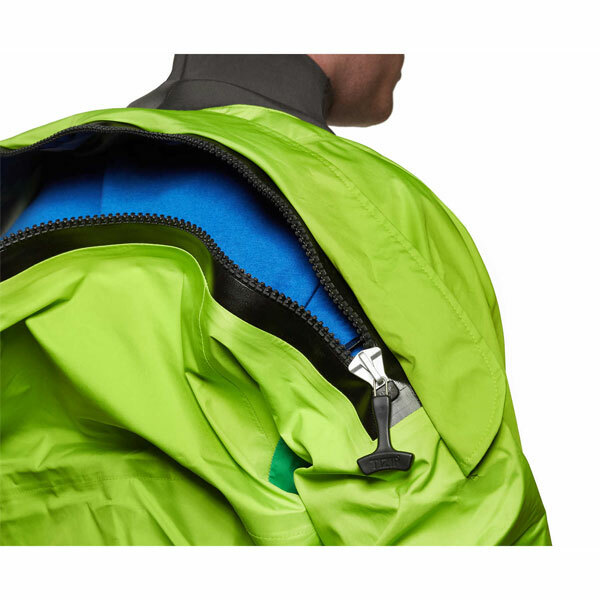 The Pivot comes with everything needed to make the session comfortable including a Tizip relief zip, wide hook and loop waist cuff to seal with the spraydeck and reinforced wear area’s on the seat and knees to ensure the suit lasts for many years. 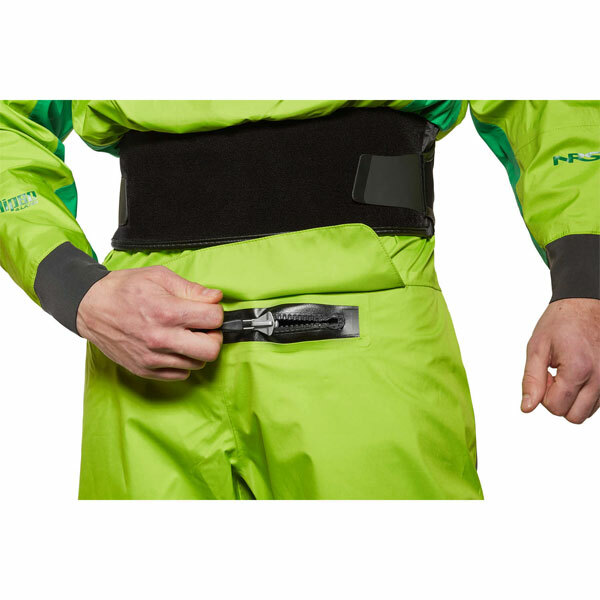 The drysuit has really now morphed from heavy, sweaty and uncomfortable to an essential safety aid and the NRS Pivot is a perfect example of this new generation of high tech suits. 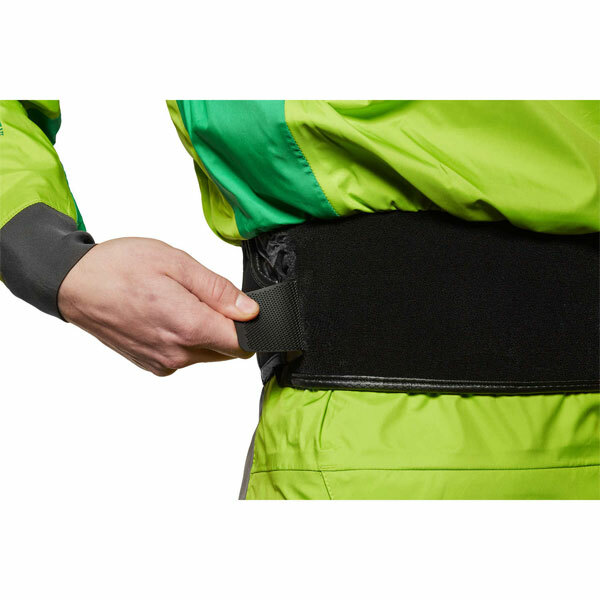 We offer a delivery service for the NRS Pivot Drysuit to home and work addresses throughout England, Wales, Scotland, Northern Ireland & Ireland. Buy a NRS Pivot Drysuit online from our website and collect from our store in Newhaven, East Sussex or from any branch within the Canoe Shops Group. There is no cost associated with this*.